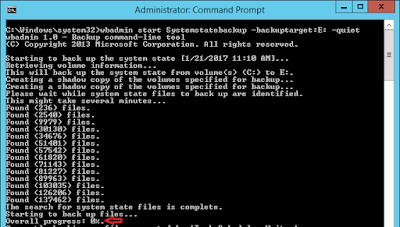 Or, How to take System State Backup of Windows Server 2012 DCs? Or, How to run system state backup using wbadmin utility? Descriptions: As NTBACKUP utility is no more available in Window Server 2012 Operating System, you still have WBADMIN to perform system state backup of your servers. 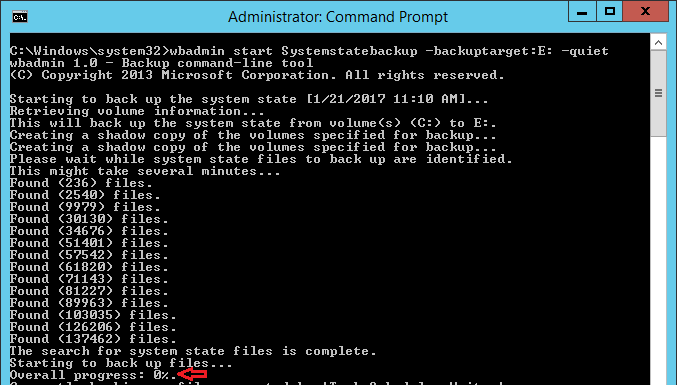 WBADMIN utility is part of Windows Server Backup feature in windows server 2012. Windows Server Backup Feature can be installed using Server Manager’s Roles and Features installation wizard. Yes, please!! 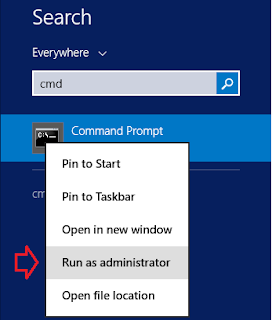 You must install this feature before you think of using WBADMIN for system state backup. you can choose the backup target as per your scenario. In my case, I am using E:\ drive as a backup target. The Backup will be initiate now, wait till it completed successfully. Cheers, Please write be back if you have any query or feedback.